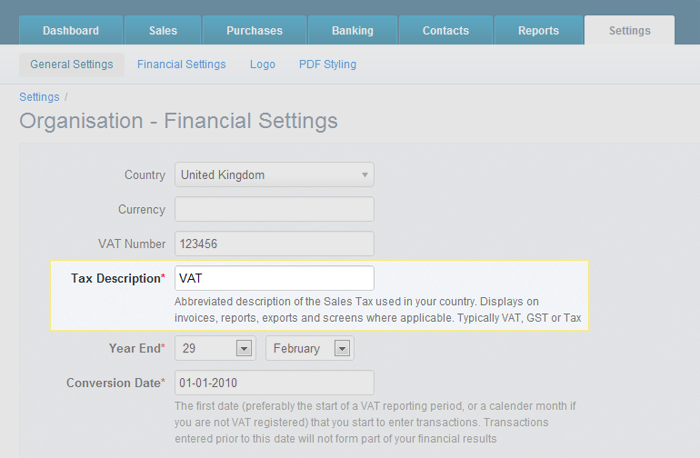 You can now modify the Tax Description for each of your organisations, which will appear on screens throughout the application, as well as invoices, credit notes and tax reports. We're sure that our accounting users in Australia, New Zealand, Singapore, Malaysia (as well as a few other locations around the world!) will welcome this.